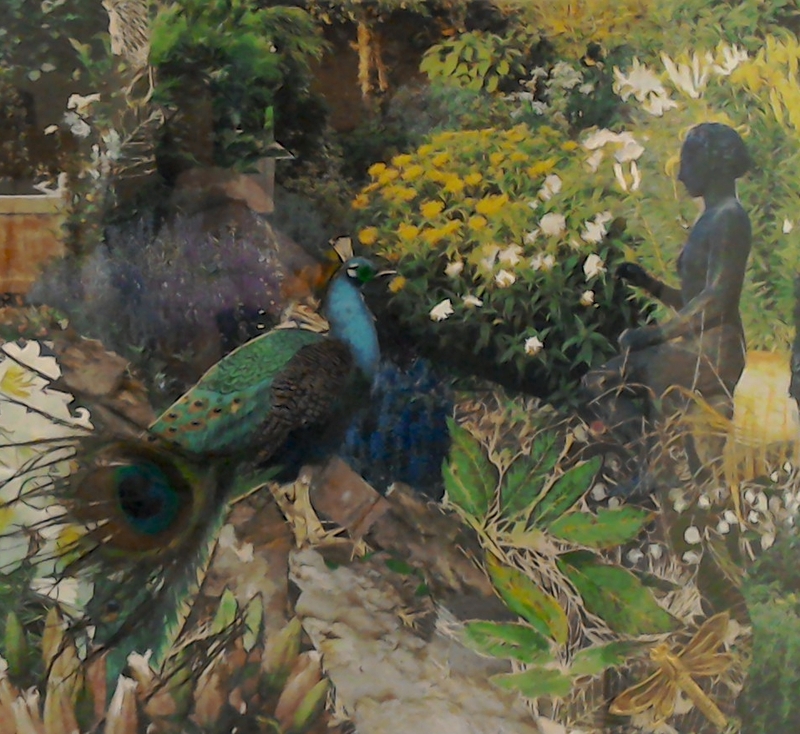 Graduated in 1984 from Gray’s school of Art, with a degree in painting and printmaking. I now work as a self employed artist, having retired early from teaching in 2017. 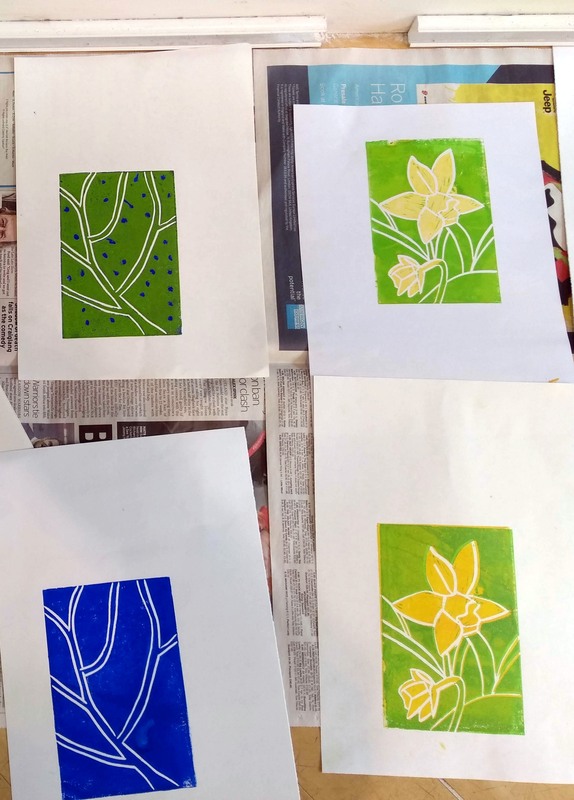 April 13th lino workshop went well. 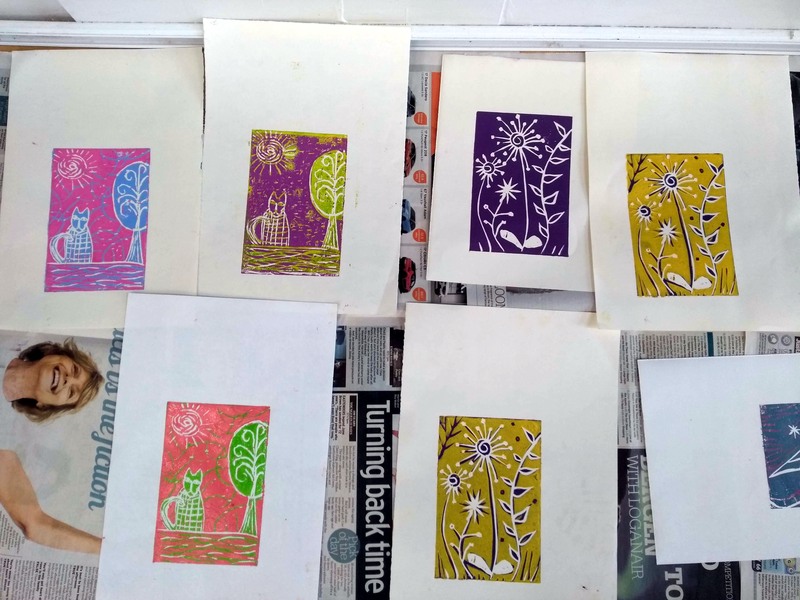 Lots of lovely prints produced by the talented and energetic participants. You can see some of the results below. The workshop space at Made in Stirling is bright and spacious, so on a blue sky, spring day; as it was, you still feel you are enjoying the sunshine. On June 30th I will be in Made in Stirling again, with another Linocut workshop. 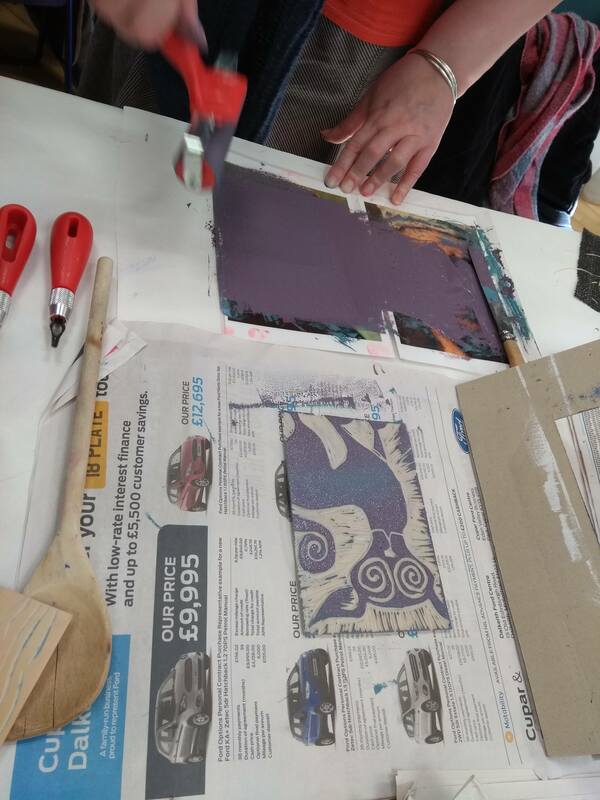 This time creating a multi block print. June 8th-16th My Studio will be open for the Forth Valley Open Studio event. You can come along for a cup of tea with either myself or two other artists who will be joining me. April 2020 In the Dunblane museum and Art Gallery An exhibition with Sarah Ritchie; a fellow artist, who also happens to be my mother. 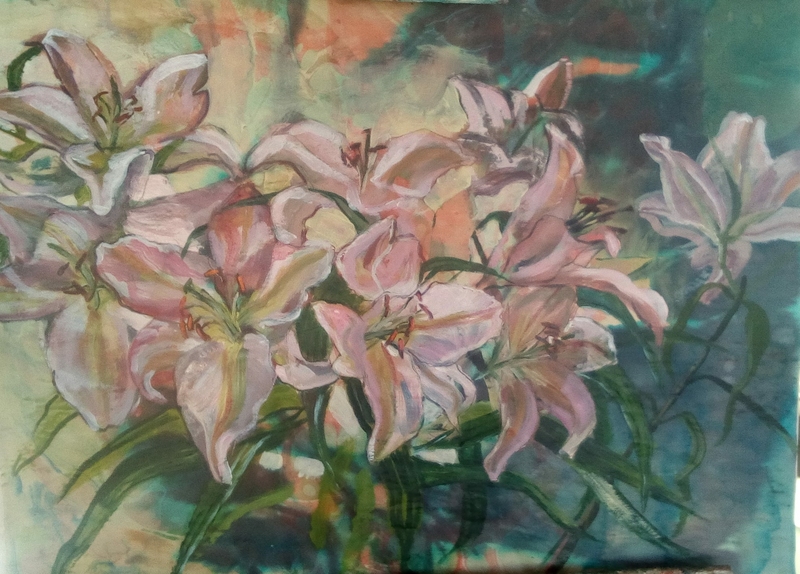 The theme is; lillies and their fluidity of meaning, and of shape. We are still working on titles for our paintings! An exhibition of paintings exploring the relentless pursuit of freedom from persecution. Inspired by the Syrian refugee crisis, and the shared experience of human migration, which has been endured down the centuries. Probably by ancestors of every one of us, who would have at one time been strangers in a foreign land. 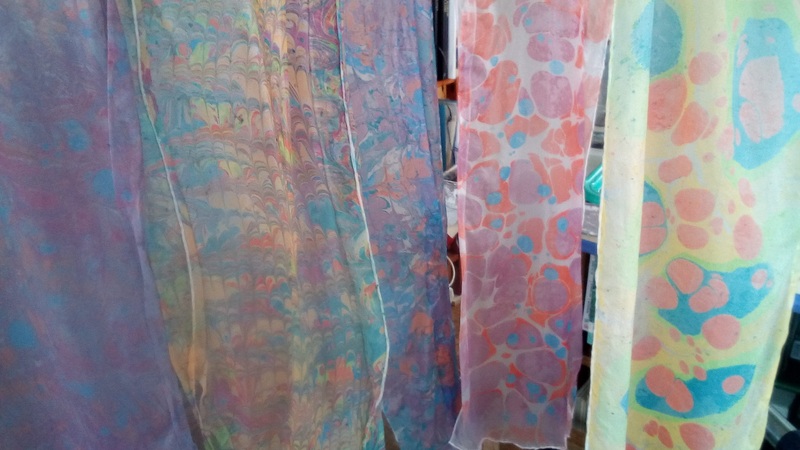 I tried some jelly printing at the end of last year with Libby Yule and Ann Shaw. 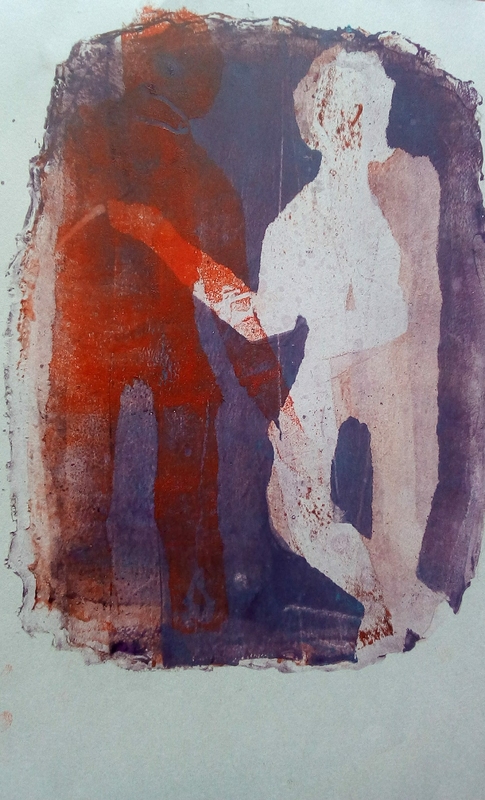 I love the medium, and am looking forward, over the next few weeks to making a new plate and trying it out combined with linocut.